The concert will feature the works of composers who lived in the Terezin Ghetto who later died in Auschwitz, as well as other composers who were killed in the Holocaust. 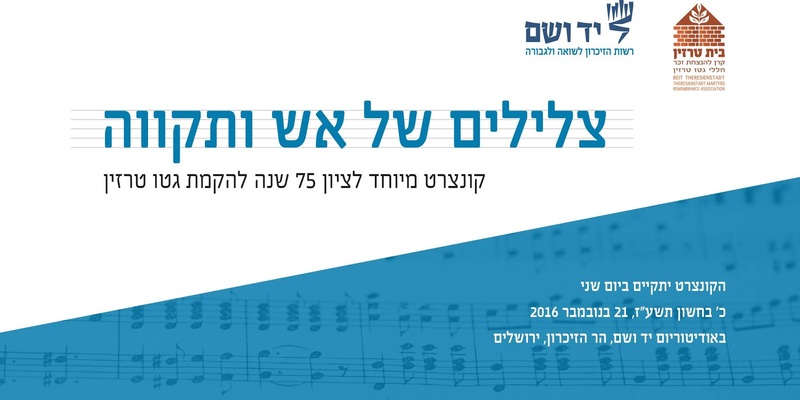 The concert will take place TOMORROW, November 21, 2016 at 6pm at the Yad Vashem Auditorium. Free admission. Please consider going to honor the memory of those who were murdered in the Holocaust.